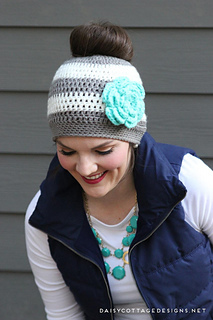 Though not really a new thing, messy bun hats (also known as ponytail hats) went viral recently. 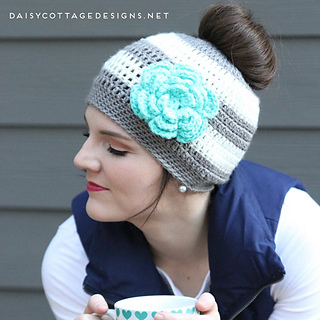 I got in on some of the fun and created this striped hat which is worked from the top like a normal hat. Using a ponytail elastic to work into, it’s stretchy and perfect for going around your hair. 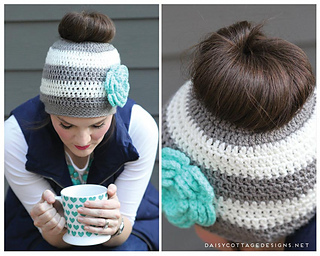 There’s a link to the free flower pattern in the post.